Book this offer and get a buffet breakfast and city tour of 4 hrs -- 40 kilometers in a chauffeured driven luxury car and late checkout. 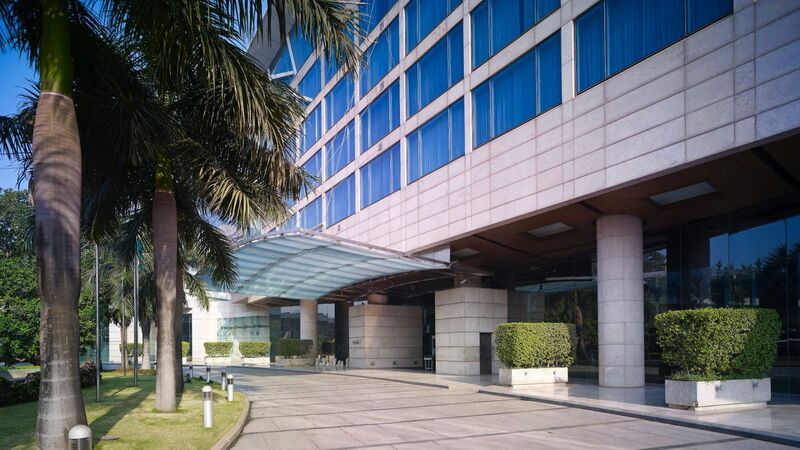 Be it business or leisure, enjoy your stay at Hyatt Regency Mumbai, with a buffet breakfast and city tour of 4 hours -- 40 kms in a chauffeured driven luxury car and late checkout till 16:00 (Subject to availability). Package valid at Hyatt Regency Mumbai. All hotel reservations are subject to availability and must be made in advance. Package is not valid with groups/conventions and may not be combined with other promotional offers. Package inclusions are listed above. Breakfast is valid each morning of guest's stay and is valid in hotel restaurant and in-room dining. Destination inclusion is valid per stay, regardless of the number of nights booked. Rate shown is per room, per night and based on single occupancy. No refunds for any unused portion of package. Package does not include, tax, gratuity, or incidental charges. The availability of hotel stays at some destinations are subject to government approvals, regulations, restrictions and applicable taxes. Promotional blackout periods may apply due to seasonal periods or special events, and normal arrival/departure restrictions apply. A portion of the rate for this offer may reflect taxes, service charges, gratuities, and third-party charges for certain included items, and those costs are not eligible for World of Hyatt® points. Hyatt reserves the right to alter or withdraw this program at any time without notice. HYATT, names, designs and related marks are trademarks of Hyatt Corporation. © 2017 Hyatt Corporation. All rights reserved. mal arrival/departure restrictions apply. Promotional blackout periods may apply due to seasonal periods or special events, and normal arrival/departure restrictions apply. Hyatt reserves the right to alter or withdraw this program at any time without notice. Hyatt Hotels & Resorts® encompasses hotels managed, franchised or leased by subsidiaries and affiliates of Hyatt Hotels Corporation. The trademarks Hyatt®, Hyatt Hotels & Resorts®, Park Hyatt®, Andaz®, Grand Hyatt®, Hyatt Regency®, Hyatt Place®, HYATT house™, Hyatt Zilara™, Hyatt Ziva™, World of Hyatt®, and related marks are trademarks of Hyatt Corporation. © 2017 Hyatt Corporation. All rights reserved. Book this special package and bring balance back to your life while you de-stress and unwind with your favourite activities. Package valid at Hyatt Regency Mumbai. All hotel reservations are subject to availability and must be made in advance. Package is not valid with groups/conventions and may not be combined with other promotional offers. Package inclusions are listed above. Breakfast is valid each morning of guest's stay and is valid in hotel restaurant and in-room dining.Daily 60 minute Spa treatment excludes Shirodhra treatment. Treatment rooms are subject to availability and we strongly recommend prior appointment. Destination inclusion is valid per stay, regardless of the number of nights booked. Rate shown is per room, per night and based on single occupancy. No refunds for any unused portion of package. Package does not include, tax, gratuity, or incidental charges. The availability of hotel stays at some destinations are subject to government approvals, regulations, restrictions and applicable taxes. Promotional blackout periods may apply due to seasonal periods or special events, and normal arrival/departure restrictions apply. A portion of the rate for this offer may reflect taxes, service charges, gratuities, and third-party charges for certain included items, and those costs are not eligible for World of Hyatt® points. Hyatt reserves the right to alter or withdraw this program at any time without notice. HYATT, names, designs and related marks are trademarks of Hyatt Corporation. © 2016 Hyatt Corporation. All rights reserved. mal arrival/departure restrictions apply.